Kendall and Kylie Jenner are all grown up now, but everyone starts somewhere! Kendall, 21, shared a childhood throwback of the duo on her website and it's too cute. The sisters are seen flashing big smiles as they wear matching outfits, and, of course, momma Kris Jenner was the mastermind behind it. "Another throwback photo, another matching outfit with Kylie," Kendall wrote along with the photo: "My mom was the queen of putting us all in matching outfits." 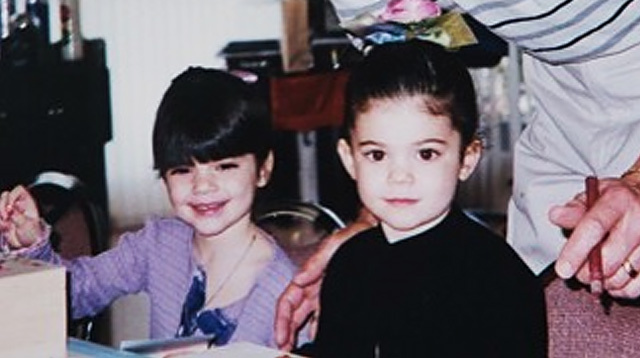 This isn't the first time fans have seen Kendall and Kylie as young kids because #ThrowbackThursday is alive and well on Instagram! In 2016, Kylie shared a snap of them with father Caitlyn Jenner for a little bit of ~*reminiscing*~. And yes, they had the typical holiday photo with Santa Claus. One can only hope the matching outfits will make a comeback ...One can only hope.